Photo: Our first students at the new preschool are enjoying the new facilities, teachers, and materials as part of our early learning program offered to the local community. We’re delighted to bring you an overdue update that our new preschool opened and started offering classes in June. We currently have 6 students (ages 3-4 years) attending classes. However, since we are in the midst of the heavy rain season, some of other enrolled students cannot travel to school at this time. Our students are studying Burmese, English, math, and music, and enjoying educational games and TV programs. We have 2 teachers and 1 staff member who will function as a teaching assistant and a cook. Our goal is to reach as many children as possible in the future, with a 1:10 ratio of teachers to children, and to hire more staff members. And with your support, we hope to purchase an additional air conditioning unit to give our children, teachers, and staff more comfort during their educational pursuits in the hot summer months. Another part of our vision is for the preschool to solve the problem of unemployment among those in our local community as we are able to hire more teachers and staff. While also providing valuable education to our orphan home children, the new preschool will give us another step toward sustainability for our programs by receiving tuition payments from neighborhood families who can afford to pay — 5 of the 6 children attending classes at this time are playing tuition. We believe the school will become a reputable foundation of quality education for young children in Myanmar. 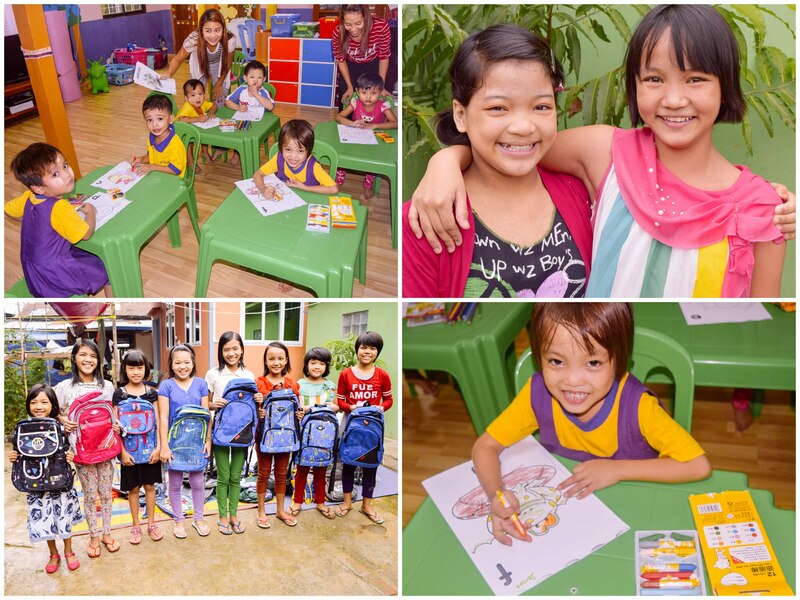 Photo inset: (Top-left): Our new preschool in Myanmar is officially open and currently has six students enrolled. (Top-right): Thamoe, pictured right with one of her sisters at the home, is thankful for a new life of hope at one of our Myanmar orphan homes. (Bottom-left): Thamoe is thankful to have a new family, a happy life, and a hopeful vision for her future. (Bottom-right): Students in our new preschool study Burmese, English, math, and music. In other good news, we’re happy to share a powerful story of one of our orphans, 11-year-old Thamoe, who now lives a happy life full of redemption and hope at one of our orphan homes in Myanmar. Before she came to live with us, she lived in the Kaya state where her father died when she was a baby, and her mother died when she was 8 years old. Her village was located very far away from the nearest town — it took one whole day to reach the town. No one in Thamoe’s village was willing to care for her, and the village elders took care of only her most basic needs. While she was living in this poor, sorrowful condition, a local woman who knew of our programs befriended Thamoe and brought her to live under our care. Thamoe is currently in the 6th grade and her favorite subjects are science and geography. Her favorite activities are playing games and dancing, and she wants to be a schoolteacher when she grows up. Thamoe is so thankful to have a new family, a happy life, and a hopeful vision for her future. We are grateful for success stories such as Thamoe’s because due to the crippling effects of extreme poverty and disease in South Asia, millions of children are orphaned, often falling victim to child prostitution, human trafficking, or forced labor. Peace Gospel’s orphan homes in Myanmar act as safe harbors in the midst of this darkness, offering orphans a way out of the dead end of despair and hunger. Through the work of our organization, these precious children are provided a loving home centered on Biblical principals of God’s love for them.